Changes to look forward to in 2018. 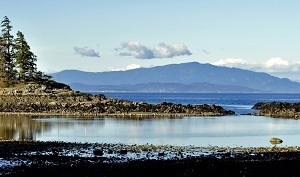 Moorecroft Regional Park was purchased by the RDN on March 2, 2011 from the BC Conference of the United Church of Canada for $4.8 million. The Nature Trust of BC fundraised $116,000 towards the purchase and $40,000 was raised locally by the Nanaimo & Area Land Trust. The property, formerly known as Camp Moorecroft, was first identified by the RDN in 1995 as a priority site for regional park acquisition due to its rare conservation and recreation values. 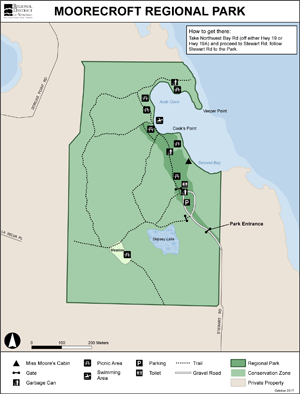 The park is managed under a Conservation Covenant held by the Nature Conservancy of Canada, which requires ecological protection and enhancement as the highest priority and low impact recreational amenities within a natural setting. 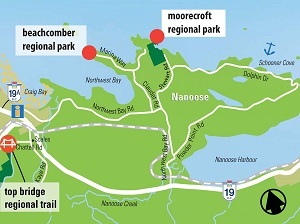 A 10-year management plan for Moorecroft Regional Park was completed in January 2013. Please click here for details. Take Northwest Bay Road (off either Hwy 19 or Hwy 19A) to Stewart Road. Follow Stewart Road to the end.